"Every time a bell rings, an angel gets its' wings." You'll find angels are drawn to you when you wear our Silver Bell Pendant. 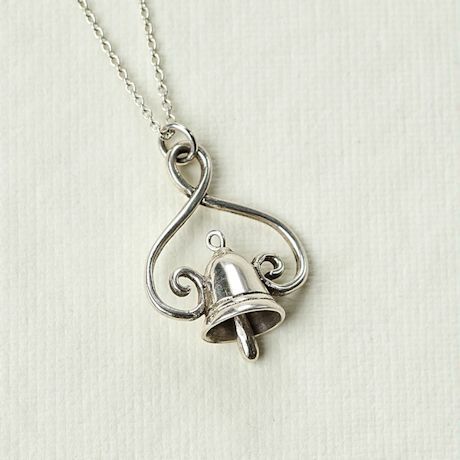 An actual miniature bell with the tiniest clapper whispers a gentle tinkling sound if you give it a little shake. Handcrafted in sterling silver by skilled artisans; hangs from an 18" sterling chain with a 2" extender. A perfect companion to our LF6326 Silver Bells Earrings. Sold Separately.